As we pull our winter clothes out of storage and prepare for dropping temperatures, melting snow in Norway has given us a window into the cold weather fashions of the ancient past. Interestingly, those fashions aren’t that different from our own. Most of us have a favorite sweater we cuddle up in when it gets cold outside; maybe our ancient ancestors did the same thing. In a hunting area on the Norwegian Lendbreen glacier, researchers have uncovered a warm wool boat neck sweater from the first millennium CE. 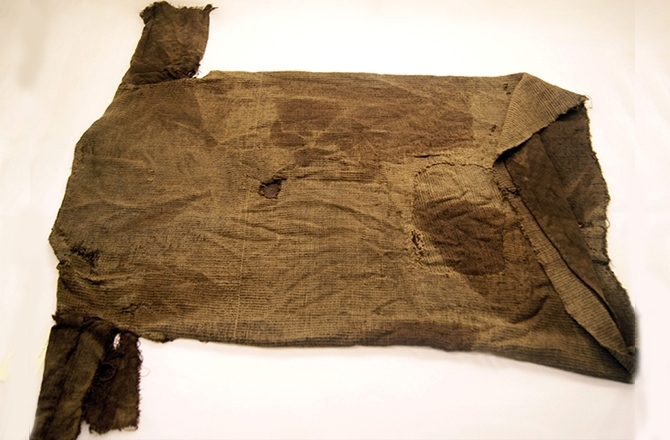 Researchers say the tunic was made between 230 and 390 CE and is extremely well preserved. It is easy to imagine this sweater was simply made for functionality to keep out the freezing Norwegian temperatures; however, that isn’t the whole story. Much like we choose our clothing today for its color and style, our ancient ancestors were also interested in aesthetics. The sweater is actually composed of two different fabrics deliberately chosen for the color and quality. The weaver then alternated the dark and light threads to create a mottling effect. The diamond twill pattern can still be found in many of our clothing items today. It is seen in our suits, sweaters, ponchos, scarves and even dresses sold in stores around the world. You can learn to do the diamond twill weave yourself by visiting the Textile School online. One difference between this sweater from the past and our current clothing is the way in which it was cared for by its owner. Today, when our clothing gets a tear or hole in it we simply replace the item, but the ancient owner of this sweater patched it twice. The clothing was valued and mended, perhaps even owned by multiple hunters before being discarded in the mountains. Why it was left behind continues to be a mystery. There is still so much to be learned from the items found in this area. The sweater isn’t the only textile found under the melting snow. Approximately 50 fragments have been uncovered and more are expected as the ice patches succumb to warmer temperatures. The information taken from these pieces will help to give us a more complete picture of fashion in the first millennium CE. So the next time you reach for your favorite cozy sweater, consider how long these woven fashions have kept us warm. Perhaps when your sweater loses a button or a thread begins to pull, you’ll think twice about mending rather than replacing it with a newer model. 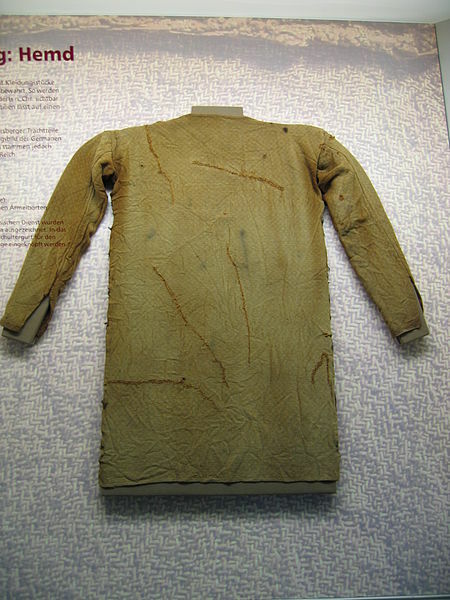 Fashion comes and goes, but a thrifty approach can make a sweater really last­­­­­–apparently 1,500 years and more. You can’t beat the styling of vintage clothing! This entry was posted in Blog, Culture, Fashion and tagged ancient history, AntiquityNOW, diamond twill weave, Germany, Iron Age, Norway, tunic. Bookmark the permalink.